There are some Reef Balls that seem to be way underwater along the texas coast. One of the sites I have been watching is Oyster Lake. 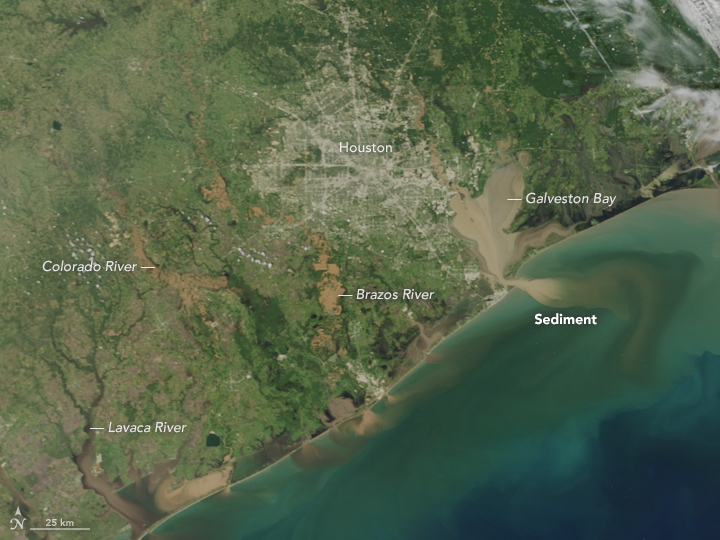 The image below shows a lot of sediment moving down the rivers and into the Gulf. My hope is to find that the Reef Balls have captured a lot of sediment. Time will tell. There is a sequence of before and after that is also interesting as the image of the day. That link will probably change over time. At the Monday night poster social come hear the latest from our surveys. Are Reef Balls good for Coastal Protection? 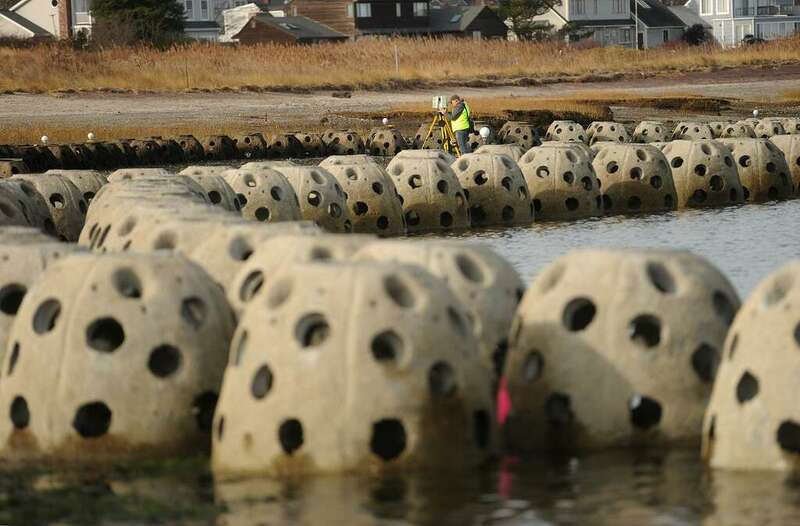 The Reef Balls were constructed at Reef Innovations site in Sarasota, FL and trucked to CT. There was some discussion of building in CT but the aggregate would be garnite instead of the Florida limerock used in the pilot project. Observation in Jim McFarlane’s surveys of sites from CT to LA showed few encrusting species on granite. McFarlane’s belief was that Reef Balls more resembled a natural oyster reef structure when made with materials from Sarasota. The practice of constructing Reef Balls with local materials in one used around the world, so it would be easy for someone to do a study in about every ecosystem you can imagine. I look forward to someone doing some surveys of the Stratford Point site during high tides, as an evaluation of plagic species visiting the area. STRATFORD — Jennifer Mattei crouched along the low-tide mark at Stratford Point to scoop up a mound of inky gray sediment in the palm of her hand. 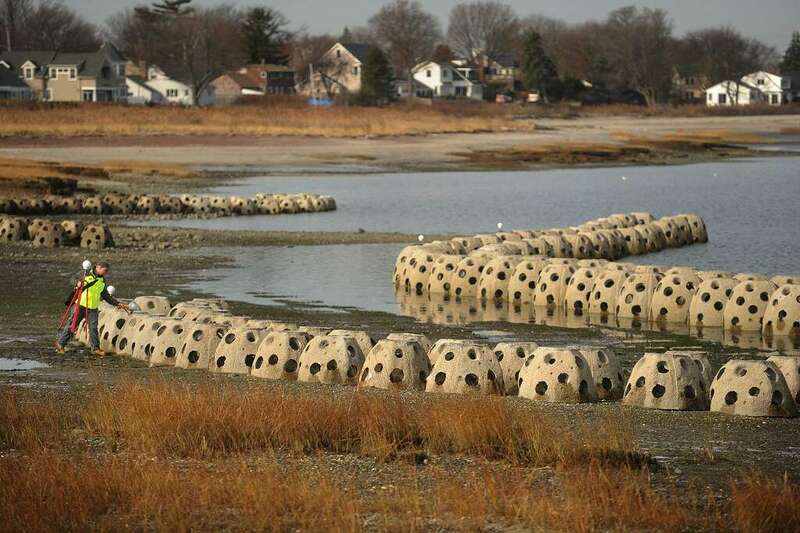 It is proof, the Sacred Heart University biology professor said, that her Reef Balls are working to restore the beach. 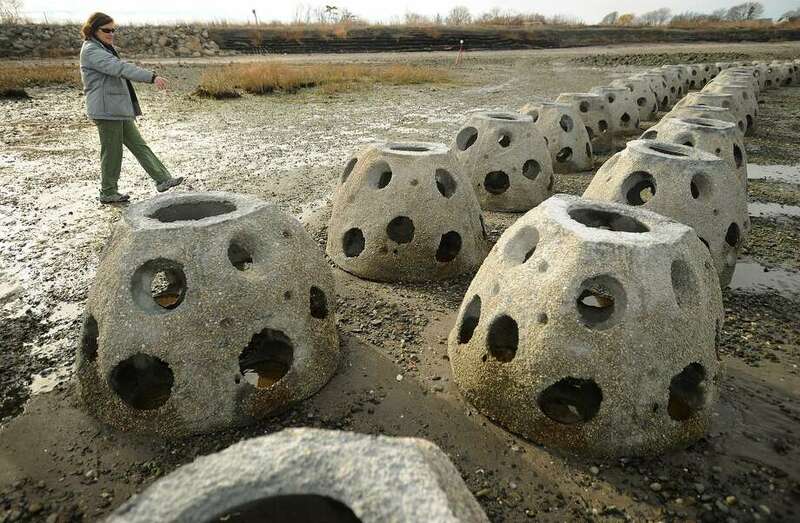 Her meandering rows of thousand-pound, dome-shaped cement balls create an artificial reef. Each ball is punctuated with holes that allow the tide and small sea creatures through. Over the past couple, years the reef, planted just off shore, has begun to not only stop erosion but reverse it — enough for Mattei to win another grant to expand her work. 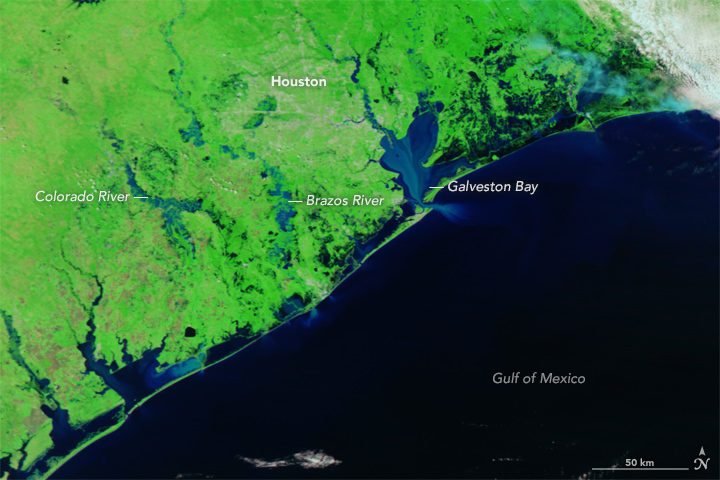 A swath of sediment estimated at four feet deep and 100 feet wide has disappeared along the of shoreline over the past three decades. The property is now owned by the DuPont Corp. and managed by the Audubon Society. So far, surveyors periodically measuring the terrain estimate sediment about 12 inches thick has re-accumulated over the past two years behind the barrier. The just-announced $115,198 grant from the National Fish and Wildlife Foundation’s Long Island Sound Futures Fundwill be used this summer, with the aid of a team of Sacred Heart students, to plant thousands of marsh grass plugs along the shoreline in front of the barrier. The pilot study began with 64 Reef Balls. This November, another 327 were added with the help of DuPont and the Army Corps of Engineers. Mattei checks on them periodically, searching for signs of algae, barnacles and any oysters that now call them home. 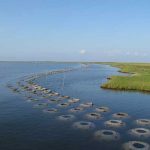 At one time, reefs made of clinging oysters protected the shoreline. They disappeared centuries ago. It was the oysters, the horseshoe crabs, the piping plover and all other species, Mattei said, that got her into this kind of research. Those creatures depend on the shoreline and their access has been compromised by decades of beach erosion and climate change. Seawalls don’t help. They hurt. 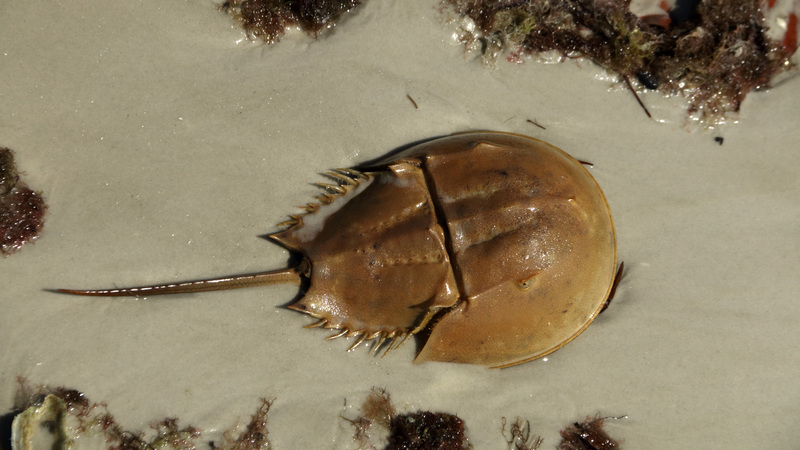 When waves crash against them, sediment is pulled away from the shore and sea creatures lose access to the shore. Mattei hit upon the idea of Reef Balls, which got their start in Florida to protect coral. The are made with a special cement formula that resists erosion and heavy enough to withstand hurricanes. The holes are positioned so that when a wave hits, the water shoots through more gently. Although used worldwide, they are rare in Connecticut. Scientists like Juliana Barrett, with the University of Connecticut Center for Land Use Education and Research hopes that will soon change. 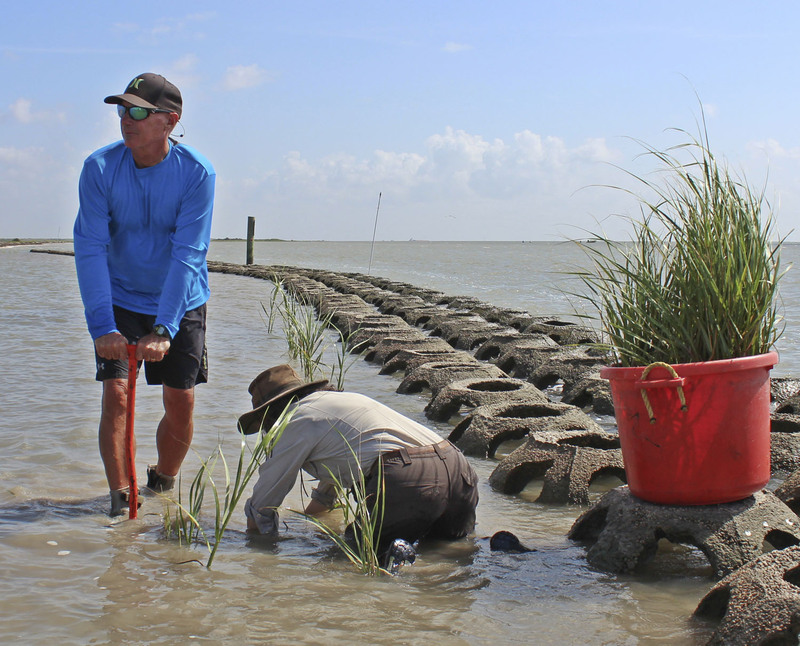 Barrett said state law now severely restricts the construction of traditional seawalls. Mattei’s project is a great example of an alternative. 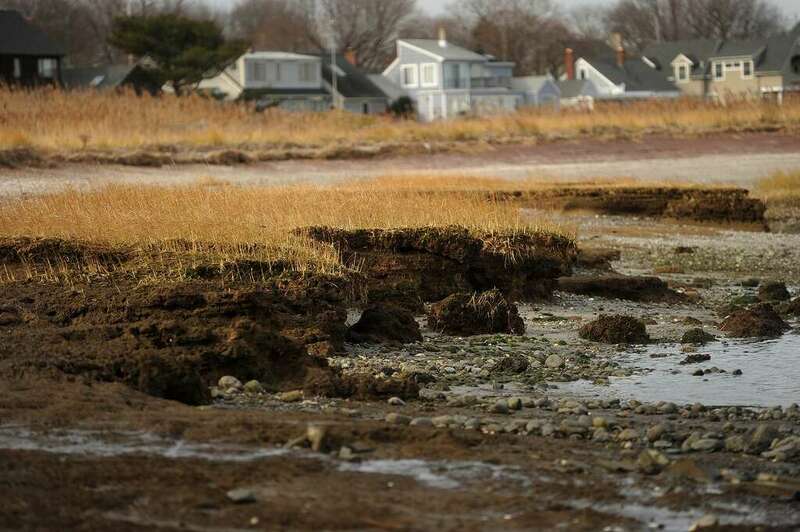 In addition to rebuilding dunes and salt marsh grass, Mattei said she also has her eye on sediment she expects to be dredged next fall from the nearby boat channel at the mouth of the Housatonic River, on the opposite end of Stratford’s beach front. Although some is earmarked for Hammonasett Beach in Madison, Mattei said, some directed her way would speed up her stabilization project. “I hope this can become a demonstration site for what to do,” Mattei said. 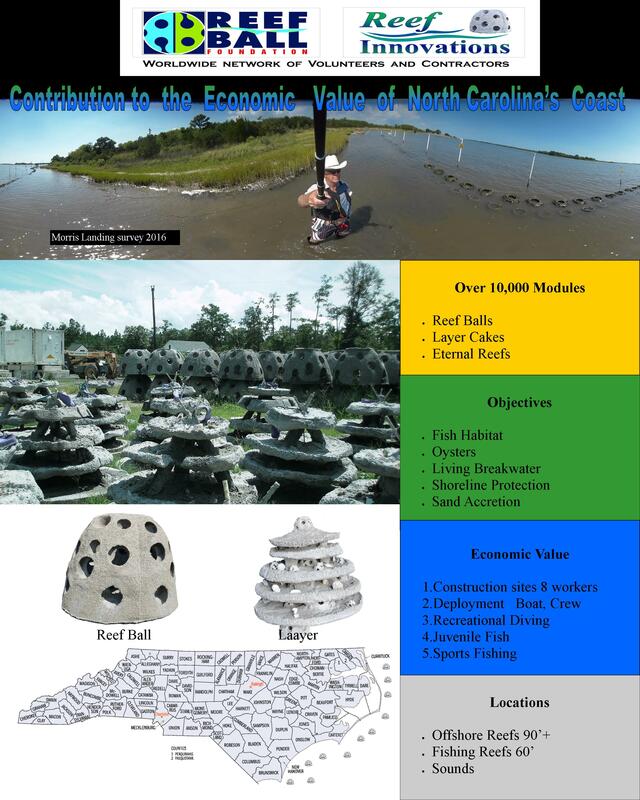 Breakwater Project – Morris Landing NC 2016, Survey by Jim McFarlane – Notice Oyster intertidal, balls on bottom of the picture are closer to shoreline, and a couple inches lower. I noticed the water wasn’t as clear as boat traffic picked up and many of them were still underwater at Low tide.